The obvious activity for Valentine’s Day is sharing a romantic dinner with your boo. To set this meal apart from others, several Outer Banks restaurants feature multi-course Valentine’s Day dinners. If you want a spot with views to set a dreamy mood, check out The Village Table and Tavern’s Valentine’s Day Dinner. In addition to their regular menu, they’re serving a special three-course menu for $45 per person. Be sure to pair your food and views of the Currituck Sound with one of their craft beers and reserve wines. The festivities continue on the Outer Banks’ northern end with Uncle Ike’s four-course Valentine’s Day Dinner menu. You'll have your choices of soup or salad, appetizer, entree and dessert for $45 per person. They’re taking reservations now, so make yours in advance. If distance really does make the heart grow fonder, then many will be delighted to return to Basnight’s Lone Cedar Café on its first day open after winter break. Their full menu, complete with their creative daily dinner specials and other surprises will give everyone a reason to appreciate their love for good seafood. Italian food seems synonymous with romance and dates (Rome, Roman … romance? It fits). Match the occasion with a classic Italian dinner at the New York Pizza Pub’s Valentine’s Day Dinner. Wayne James will create a soothing and sensual atmosphere with his smooth jazz. And they’re serving a special dinner menu that evening. Now that you know the places to suit your date night, you need to find a gift that wows the socks off your sweetie. Chocolates and flowers are always great, but why not try something different this year? 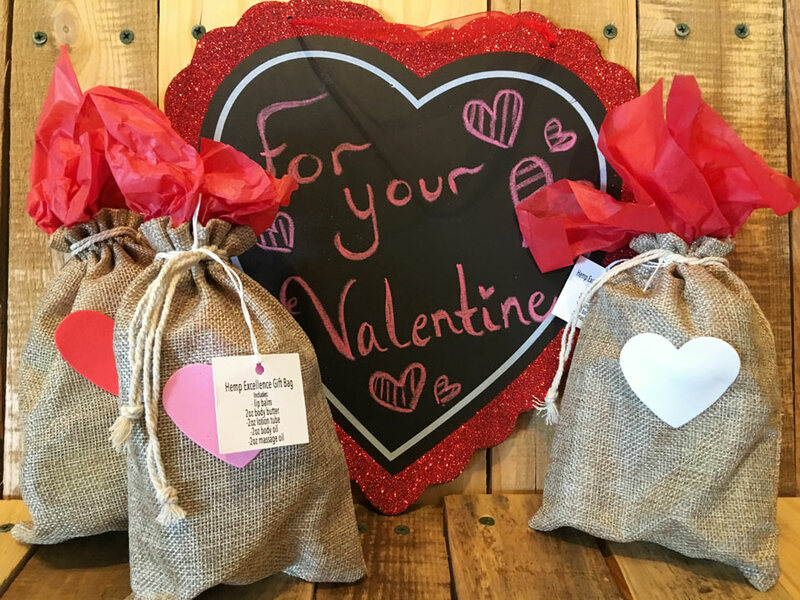 Pick up a Hemp Excellence Valentine’s gift bag from the House of Hemp. This gives your Valentine or simply yourself the products they need to show their body a little love too. With hemp-infused lotion, body butter, body oil, massage oil and lip balm, you’ll feel relaxed and restored without all of those artificial chemicals found in other body products. Valentine’s Day isn’t for everyone, and that’s okay. Whether you’re single as a Pringle or just averse to sappy feelings, these alternative Valentine’s Day activities give you a funky and different way to enjoy the occasion. Round up your friends for R/C Kill Devil Hills Movies 10’s Wine and a Movie night on February 13. Starting at 5:30 p.m., they’re serving theatergoers a complimentary glass of wine (the serving starts at 5:30 p.m.) and food samples from the New York Pizza Pub. 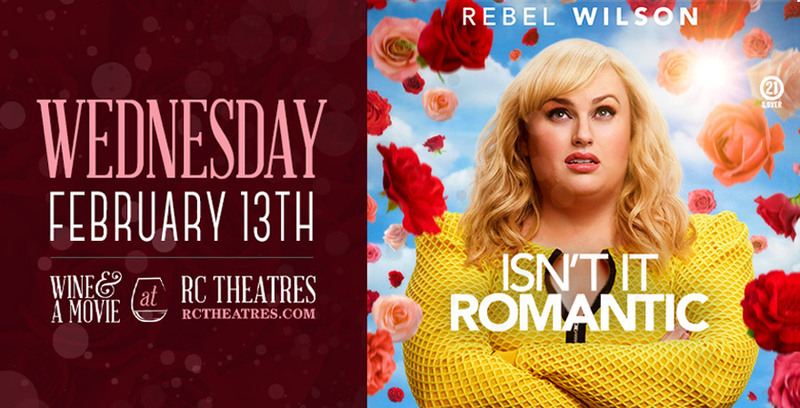 At 7 p.m. there’s a screening of Isn’t it Romantic, which is about a young woman disenchanted with love who finds herself trapped in a romantic comedy. It’s delicious fun if you want to poke fun at all the over-the-top romantic comedy tropes. If you’re one of those people who are militantly opposed to Valentine’s Day, then the Anti-Valentine’s Day Party at Jack Brown’s Beer and Burger Joint is the place for you. They’re wearing all black, and you should too. Opt for fried Oreos, burgers and beer over the standard multi-course meal. If you feel so inspired, bring pictures of your exes or old gifts to, um … let’s say alter, with scissors, permanent markers and other tools of destruction. 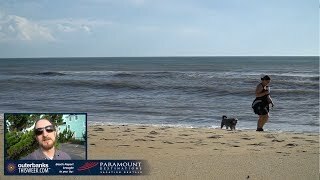 The anti-festivities last from 6 to 9 p.m.
No matter where you fall on your feelings toward Valentine’s Day, the Outer Banks has something for you. For other ways to spend your Valentine’s Day, be sure to check out our Nightlife page. Our Daytime Events page also guides you to outdoor activities, art workshops and more for date ideas during the daylight hours. 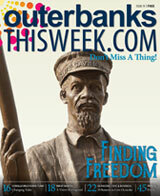 How will you be spending Valentine’s Day on the Outer Banks? Do you have any special traditions? We want to hear them.